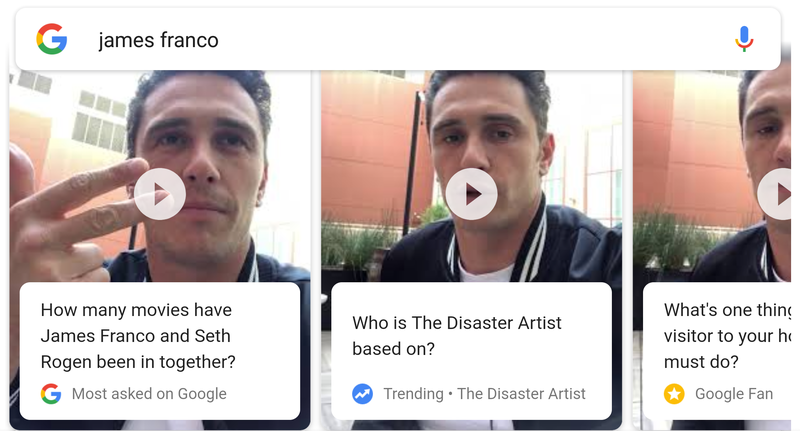 We all turn to Google to get answers regarding this and that, and that other thing, and those as well, and eventually there's a point where we get a little curious and we want to know something about the actors and stars that we love. Google usually uses its Knowledge Graph to surface the best and most accurate answer for you, but what if you could get it straight from the horse's mouth. There'd be no denying the authenticity of it, would there? Even though it sounds like a gimmick, it's a fun and well-executed one. Very few things in life beat knowing that Mark Wahlberg's go-to dance move is sitting on the couch. The videos are short, don't overtake your search, feel much more personal, and if you had a pressing question, now the answer will come straight from the source. Give it a try, it'll take a few minutes to see all the videos, and you might get a chuckle or two. Google says the feature will roll out to more personalities later.